Nintendo DSi Games: Animal Crossing Goodies on DSiWare! Animal Crossing Calculator (200 Nintendo DSi Points) - Do your math with Animal Crossing background. 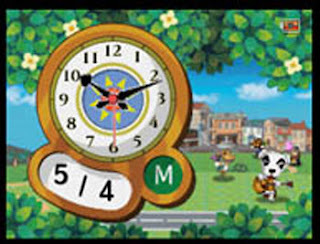 Animal Crossing Clock (200 Nintendo DSi Points) - A regular clock pimped-out with Animal Crossing characters.